It doesn’t matter if you are an absolute beginner or a seasoned professional, we will have a class that works for you. Under the guidance of our head coach, Martin Paradine, our team of Boxing instructors will get your fitness fighting ready, even if you are not interested in fighting at all! Please check out our classes page to see when our current classes run, but don’t forget, we have many options if there isn’t a time to suit you. We also have one-2-one sessions and personal training opportunities available so please get in touch. Boxing has been shown to be great for all types of people, so we here at Empire have designed 3 types of classes to meet all your needs. 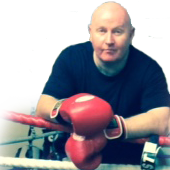 Non Contact Junior Boxing, Adult Boxing for Beginners and High Octane Boxing. I first started Boxing training in 1981 with my cousin whilst in Dublin. I really enjoyed it, so on my return back to England, I joined the BRONX ABC in Gloucester in 1982. My coach at the time, Dave S, was fantastic and taught me a great deal about boxing, the fitness and training that goes with it. Non Contact Junior Boxing involves good all round fitness for Boys and Girls aged 6 to 14 years old, which includes strength, speed, stamina, flexibility, co-ordination and discipline, not forgetting a very important boost to confidence but most of all, it is fun and safe! Your child will be taught Boxing techniques, skipping correctly, shadow boxing, pad work, foot work and fitness circuits. It is important to note that there will not be any sparring for our Non Contact Junior Boxing classes. Boxing gloves and skipping ropes are provided but you are more than welcome to bring your own. Your child should wear either jogging bottoms or shorts with trainers and a t-shirt but most importantly please bring a drink, water being the best option. Simply contact us to register your interest and we will get you booked in. Most Boxing gyms are very intimidating to walk into and that puts a lot of people off from ever learning to box, or even giving it a try! Here at Empire the welcome that you will receive combined with the structure of the class ensures all the needs of a beginner starting out in Boxing are fully met. We will teach you how to wrap hands, skip, shadow box, punch a bag correctly, combo pad work, Boxing drills, foot work and also conditioning. Each class is assigned a specific coach that will teach you every session, this ensures that they become familiar with your progress and can best help you to achieve your goals. Some common goals are weight loss, fitness, confidence boosting, stress relief and self defence. All you need to start is a pair of jogging bottoms or shorts with trainers and a t-shirt and the all important bottle of water. We will provide Boxing gloves and a skipping rope for you to use during your session but you are welcome to bring your own if have them. Contact us now and we will get you booked in. Please take a look at our classes page to see when our current sessions are running. Come and test your fitness, stamina and strength with our experienced Boxing training – please get in touch as BOOKING IS ESSENTIAL as places are LIMITED! Neat and tidy punching from Ellie.